Maria M. Delgado, 87, of Brownsville, passed away on Thursday, March 28, 2019 at Brownsville Nursing & Rehabilitation Center in Brownsville. 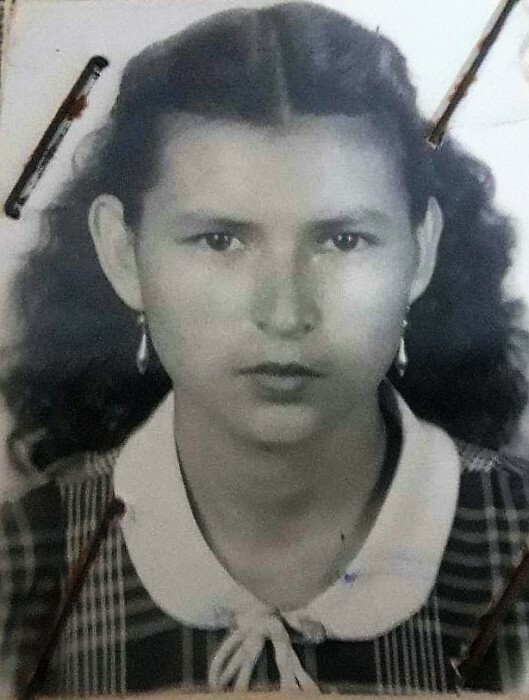 Maria M. Delgado was born in Matamoros, Tamps., Mexico to Romana Garcia and Julio Arambul on May 7, 1931. She is preceded in death by her parents, a brother; Julio Arambul Jr., and a sister; Bertha A. Hernandez. Maria M. Delgado is survived by her husband, Eusebio Delgado; her sons, Rafael De Leon, and Ricardo De Leon, a sister; Bertha A Hernandez and a brother; Heriberto Arambul. Visitation will be held from 3:00 PM - 9:00 PM with a rosary at 7:00 PM Sunday, March 31st, 2019, at Garza Memorial Funeral Home. Funeral Services will be held at 10:00 AM Monday, April 1st, 2019, at St. Luke Catholic Church. Committal will follow at Rose Lawn Memorial Gardens.